To extract the most delicate flavours, different teas need to be steeped at different temperatures. But how do you get it right without using a thermometer? The Smart Kettle Pure knows the ideal temperature for tea or coffee. 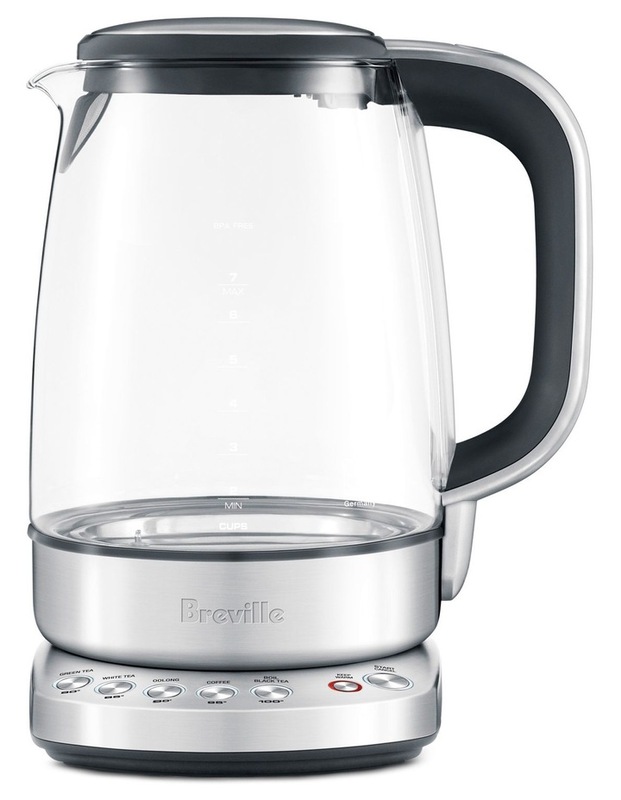 Constructed with the natural purity of glass and BPA free* materials, this kettle uses five pre-programmed temperature settings to tell you which temperature to select for which type of tea. Includes soft open lid to stagger hot steam and prevent hot water splash back while a keep warm button can hold the water temperature for up to 20 minutes. Tea never tasted so good.